2010’s ‘Beer Trip’ led us to the Denver area for our little excursion. It included the spectacular Oskar Blues Brewery, the great Avery Brewing Company and an evening at the Falling Rock Taphouse, which is one of the best taphouses in the country. 2011’s trip led us to be a little more adventurous, so we turned it into a West Coast Road trip from LA to Seattle. When all was said and done….6 days, 1500 miles, 3 states, 7 breweries, 3 wineries, 36 holes of golf @ Bandon Dunes, tons of beautiful scenery and views of the Pacific Ocean, lots of really cool people…and here’s the story. After an uneventful flight, we are on our way to our 1st stop—Firestone Walker Brewing Company in Paso Robles. 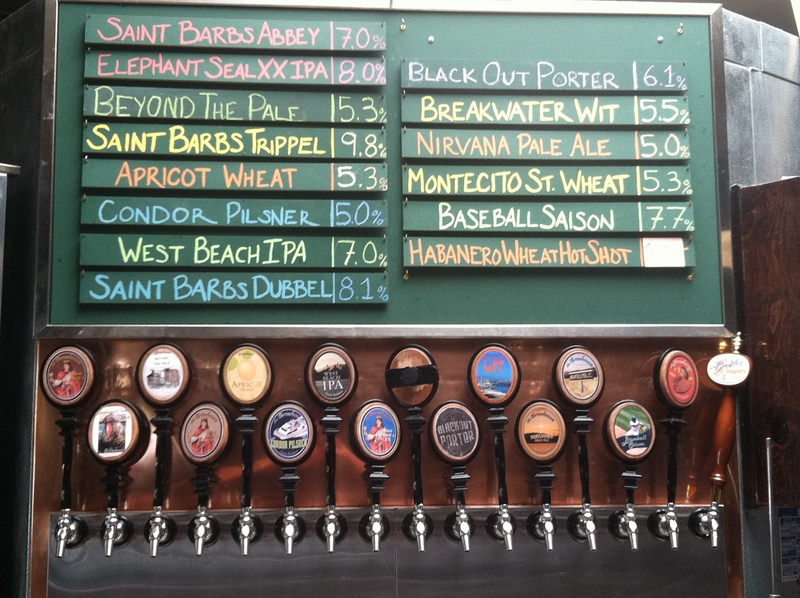 However, as we approached Santa Barbara, we figured there had to at least be a worthy taphouse or brewery along the way where we could get lunch and a pint or two. 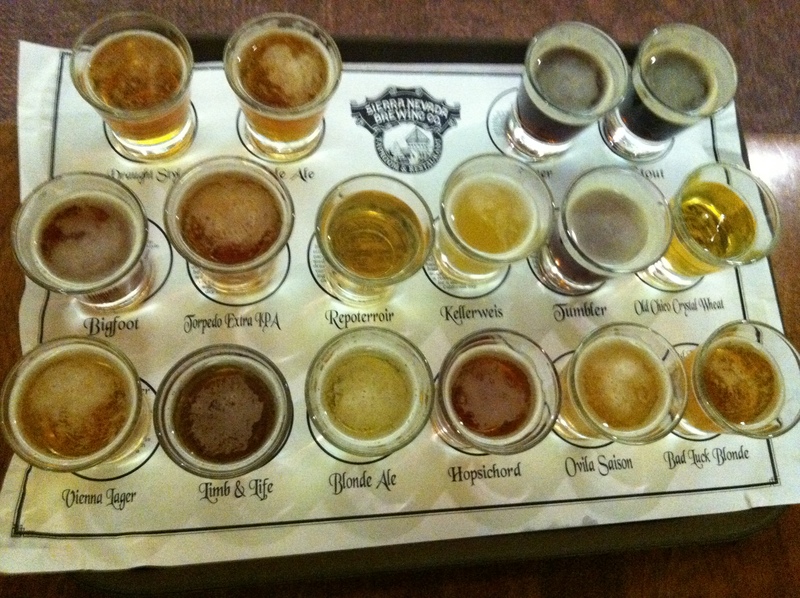 Thanks to technology we came upon The Brewhouse in Santa Barbara and took a detour. They had a killer ½ pound BBQ Bacon Cheeseburger and a nice lineup of handcrafted beers. I went with the Elephant Seal Double IPA and enjoyed every ounce of it. A nice 8.5% Double IPA with an orange color to it and some citrus and floral notes but doesn’t shy on the malt. Nice start to the trip! Onward to Firestone!! When we arrived at their taproom, it was first things first— Double Jack! Firestone’s Double Jack is one of my 3 favorite, if not my overall favorite, beer right now. The grapefruit and powerful citrus notes on the nose are incredible and for a 9.5% ABV beer, this is one smooth Double IPA. Their flagship IPA (Union Jack) was equally amazing as it couldn’t be more fresh. Also sampled OAKtoberfest, Brown Hemp Ale, Velvet Merlin Stout, Red Nectar IPA and Black Xantus Java Stout. The Java Stout was the best of the sampler with a nice bourbon taste. Day 2 had us riding Pacific Coast Highway 1 along the coast and through Monterey. 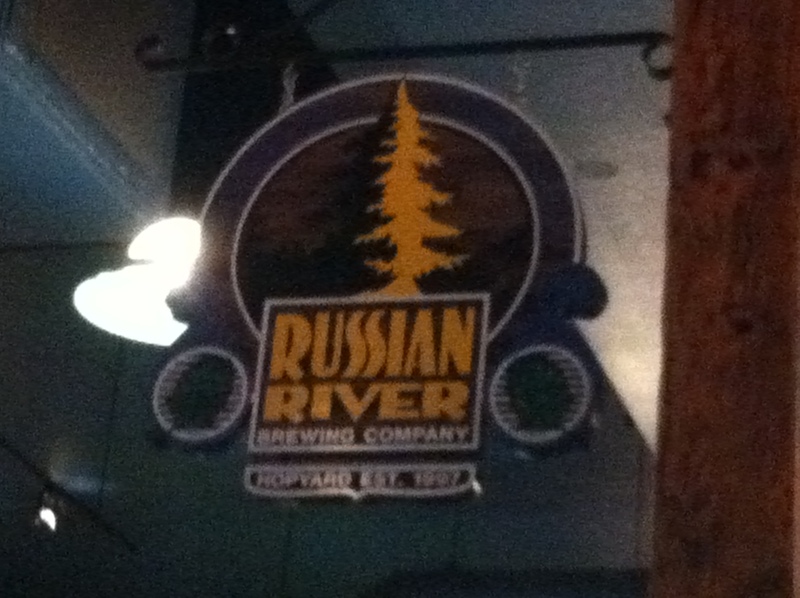 After lunch in Monterey and a ride over the Golden Gate Bridge, we arrived in Windsor (basically Sonoma) and promptly made our way to Russian River Brewing Company, home of Pliny the Elder and it’s cult-like following. Pliny was fresher and better than ever at the brewery. It turned a great beer into an exceptional one—great pine and floral notes on the nose and even with all the hops, just as smooth as can be. I was quite impressed w\ their Blind Pig IPA as well. After the IPA’s we gave their Belgian Ales a sample—tried Temptation, Damnation, Supplication, Sanctification and Little White Lie. 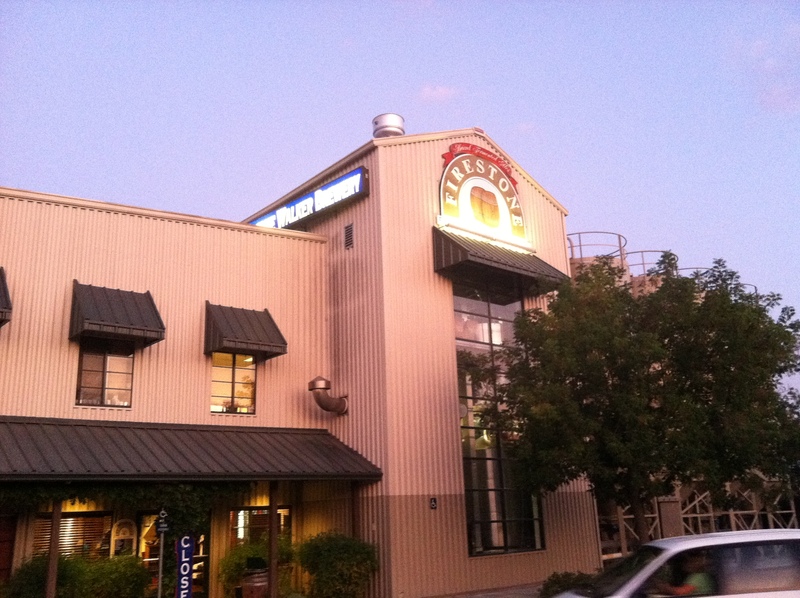 After dinner @ RR, we made our way North to the great Bear Republic Brewing Company. We were hoping they still had their Imperial IPA Racer X on tap but the last keg kicked two days before our arrival. However, the staff took care of us! They opened us a 22 ounce bottle of the brewmaster’s 2002 Sammy’s Strong Ale (named after his son). This beer aged beautifully!! Time had cut down and mellowed the presence of the hops and left great tastes of figs, dates and bourbon. This was a one time beer for us and it was fabulous. Of course we tried the Racer 5 IPA, their flagship beer, and on tap fresh—it didn’t disappoint! Great hop presence, golden in color, a little sweet on the finish but clearly one of the best IPA’s around. Also had their Black Racer (their Black Ale) which was quite good and wasn’t too heavy for a Black Ale. As we were waiting for our cab, we got the Bartender’s Special (no, not the BarMAT special). It was the K Bizzle and it was ¾ Racer 5, ¼ Red Rocket Ale and a splash of the Wee Heavy Scotch Ale on top. The different gravities of the beers helped them separate some and the combined flavor profiles were quite tasty! What is the saying ‘When in Rome, do as the Romans do’?. Well, we were in Sonoma so we figured we had to hit a couple tasting rooms. Grabbed some lunch and decided to hit the Coppola winery first. 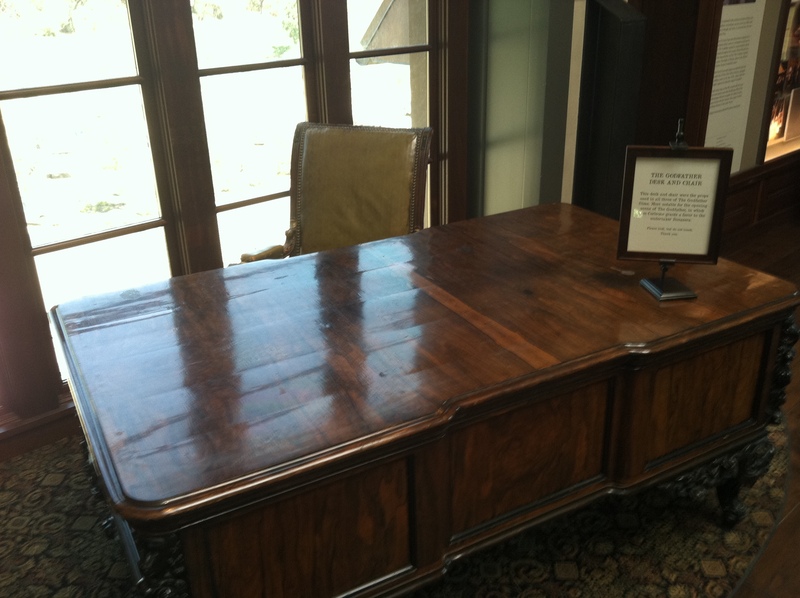 This turned out to be more like a p alace and the tasting room, more like a museum. The tasting room was full of memorabilia from the Godfather, Apocalypse Now, Dracula, Tucker and housed all of Francis Ford Coppola’s Oscars and Golden Globes. The highlights of the tasting flights were the Director’s Cut Cinema (a Zinfandel & Cab Savblend with a little Petit Verdot), the Coppola Reserve Syrah and my personal favorite, the Cab heavy Bordeaux Blend – Archimedes. After Coppola we hit Alexander Valley Vineyards and tasted (and bought) some of their fantastic 2007 Estate Cabernet Sauvignon and their glorious Bordeaux Blend – Cyrus! Last tasting room we hit was a smaller one w\ two fabulous Cabernets. Hawkes Winery had a great 2007 Alexander Valley Cab and their amazing 2006 Cabernet from their Pyramid Vineyard. Onward to Sierra Nevada from here and just 3 hours later we found ourselves sitting at our dinner table with a sampler of all 16 of their beers I won’t label them all but there was something for everyone. The cream of the crop was the Hopsichord. This amber colored Imperial IPA was a hop demon on the nose and had a bit of a sweet malty finish. We left town w\ a growler and a few 22’s of this beer. The traditional Sierra Nevada Pale Ale (aka the ‘everywhere’ green bottle beer) was great on tap but we learned something new and I’ll share. The Sierra Nevada Pale Ale that you buy in the bottle is NOT the same beer that you get when you see it on tap at a bar, restaurant, etc. That beer is their Sierra Nevada Pale Ale Draught Style. It’s a little less hoppy and bitter. We both preferred the bottle recipe and thankfully the only place in the world you can get the recipe from the bottle, on tap is—you guessed it, the Sierra Nevada Brewhouse! We’re heading to Bandon Dunes!! We have plans to stop in Ashland Oregon and hit Caldera Brewing Company but they were closed. 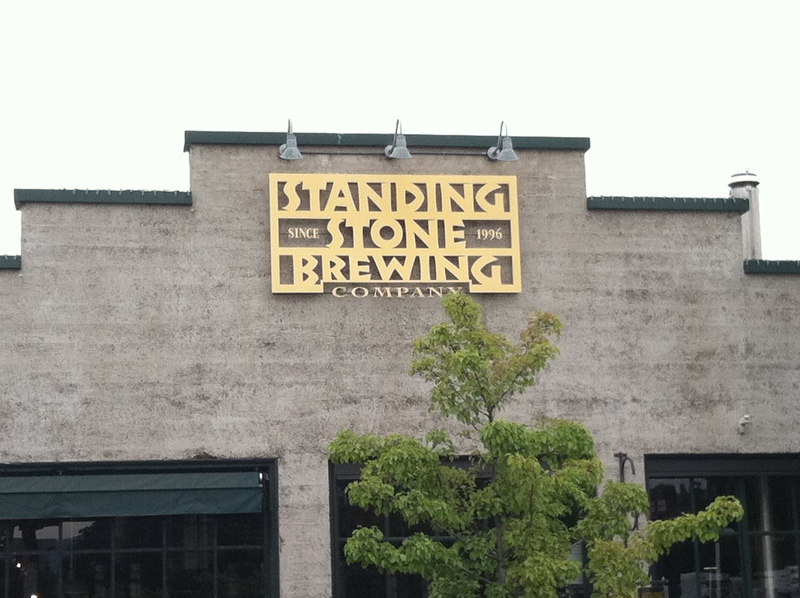 However, we do a search on the fly and locate Standing Stone Brewing Company. Now THIS was the brew find of the trip! Had the sampler and every one was fantastic with special kudos to their Double IPA, their Oatmeal Stout and their Noble Stout. Their Amber Ale, Pale Ale and ‘I Love Oregon’ Ale were great as well. Here’s hoping for continued success for these guys and a migration of some of their beers to Seattle! 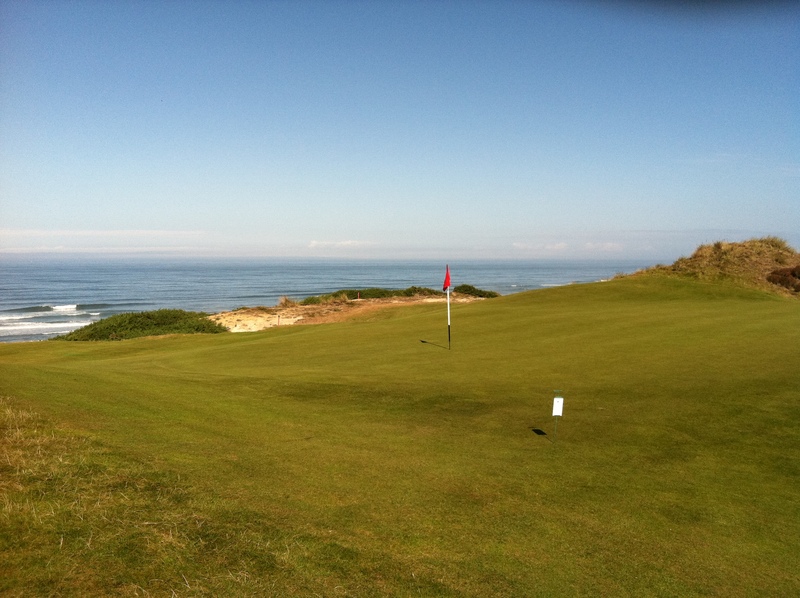 After that, we made the drive to the coast and arrived at Bandon Dunes. We had the great pleasure of meeting Michael and Pete from Bandon Dunes and were able to talk and share some beer with them. We all know Bandon is a golf mecca, but it is the people and the experience as a whole that makes it so special. Michael and Pete exemplified that and shared some samplings from their new Private Reserve Beer List with us. Oakshire Line Dry Rye, Hair of the Dog Adam, Full Sail Black Gold and Rogue Restoration Red Ale just to name a few. I’ll be writing a more detailed post about their Private Reserve Beer List on the Bandon Dunes blog. I’ll link to it once I’ve got it posted. This whole experience at Bandon just validated my sincere enjoyment and respect for this place. This was my day of golf—36 holes (18 @ Bandon Dunes followed by 18 @ Pacific Dunes). Flawless weather, great caddy named Rodeo, played pretty well and even had a Widmer X-114 IPA at the turn and was quite impressed with the brew. After golf we made our way up the coast to Rogue Brewery’s Ale House in downtown Newport. It was kind of late when we got there so we only had a couple pints but we did have the St Rogue Dry Hopped Red and the Mogul Madness Winter Ale—probably my 2 favorite Rogue brews. Plenty of great brewhouses in Portland and greater Seattle but I needed to make my way home to the family….until next time!